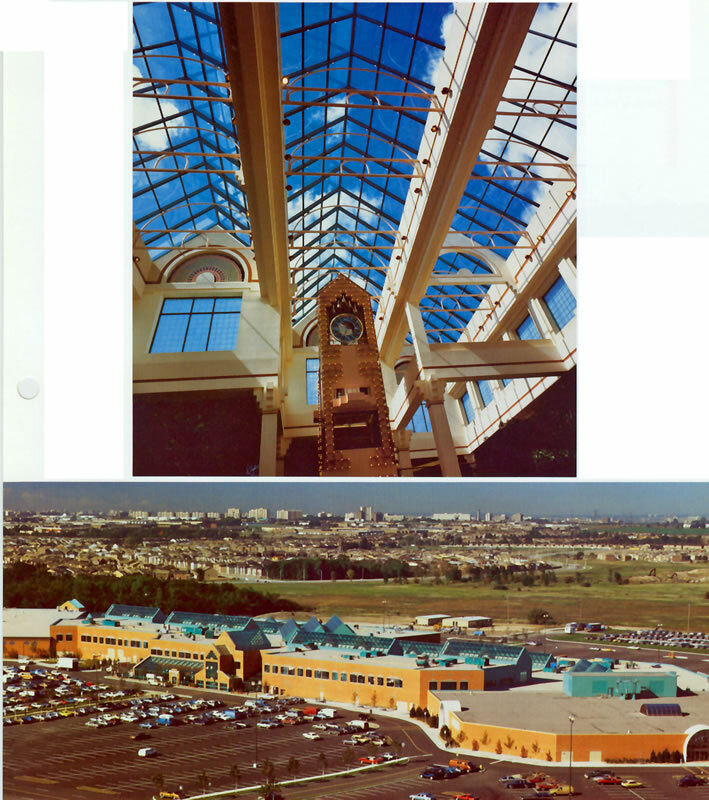 Architect: Architects Crang and Boake Inc.
A regional shopping centre at Highway 7 and Bathurst Street in the Town of Vaughan, north of Toronto, was completed in 1986, after having first been designed as a structural steel structure, which was subsequently changed to a reinforced concrete structural frame, to reduce the construction period by six months. The two level mall is located between two major department stores, and in addition to providing retail spaces for national chains, and other unique merchants, it includes cinemas, and a diversified food court. The six inches deep deck and twenty-four inches deep steel beams were replaced by thirty inches deep reinforced concrete beams spanning forty feet to support one-way reinforced concrete slabs. The beams were spaced at twenty feet on centre, forming typical twenty feet by forty feet bays, for the shopping malls. The Promenade Centre Mall is probably the only major shopping mall built entirely of reinforced concrete in Canada.